Designed to be easy to maneuver and handle, Toro snowblowers are mechanically sound generally with few repairs needed. However, there will come a time when repairs are necessary. You have a few options to consider, one of which is to attempt a repair yourself. Consequently basic troubleshooting and repair tips will come in handy for those do-it-yourself projects. 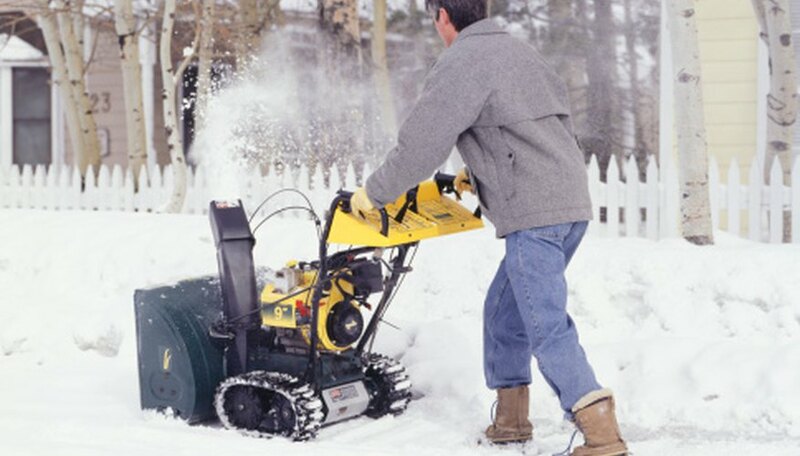 Become knowledgeable in regard to the Toro snowblower model you possess to determine exactly where the problem lies. Toro snowblowers are constructed for minimal glitches, so if they occur, most are generally minor. Consult the operator’s manual and parts list to help familiarize yourself with the components of the snowblower. Different Toro snowblowers possess parts that are individual to that particular model. Before winter sets in, inspect all the moving and working parts, such as the wheels and tires, bolts and belts for any damage. Most Toro snowblowers possess a scraper bar; examine this to ensure it is in good shape and is not too worn. Replace worn or damaged parts prior to the first use of the winter season. Pay attention to the tires for any tread loss as this will affect the performance. Also tires should be inflated with the proper amount of air, which is listed in the owner’s manual. Toro recommends using authorized Toro repair shops or technicians when seeking outside sources for repair of your snowblower. Compare a number of different shops to ascertain the best option. Check the shop’s background and the training of the technicians. Independent shops are another option if a Toro authorized repair shop is not a viable choice. Recommendations by relatives, dealerships and friends will also provide you with valuable information regarding possible repair choices. Always compare cost estimates, past clients and reputations for the best repair quality and value. How Do I Repair a Hayward H400 Pool Heater? What Spark Plug Should I Use for a Cub Cadet Push Mower?